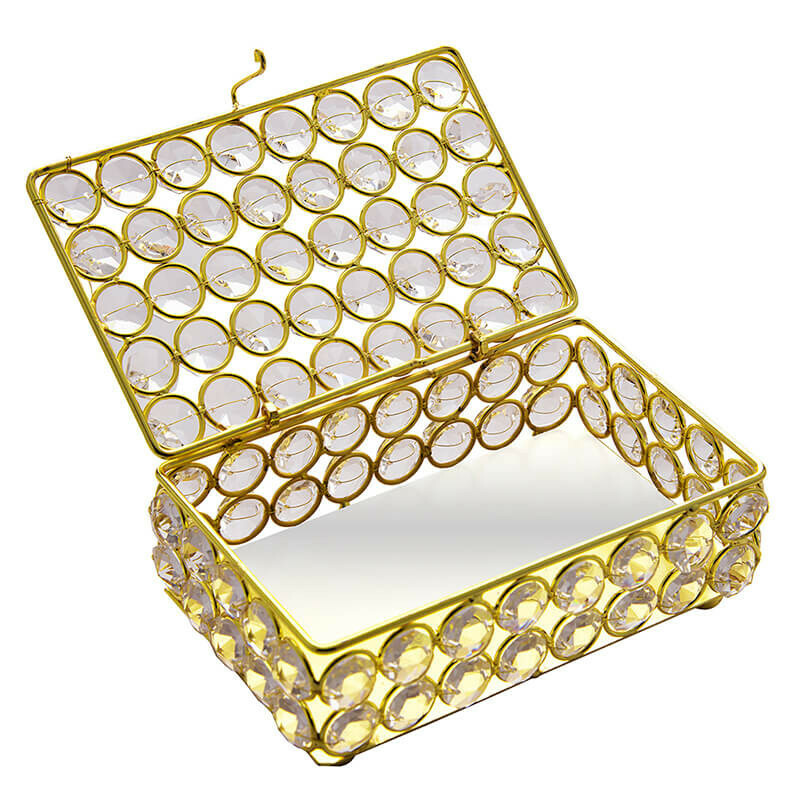 Get yourself a mini treasure chest. 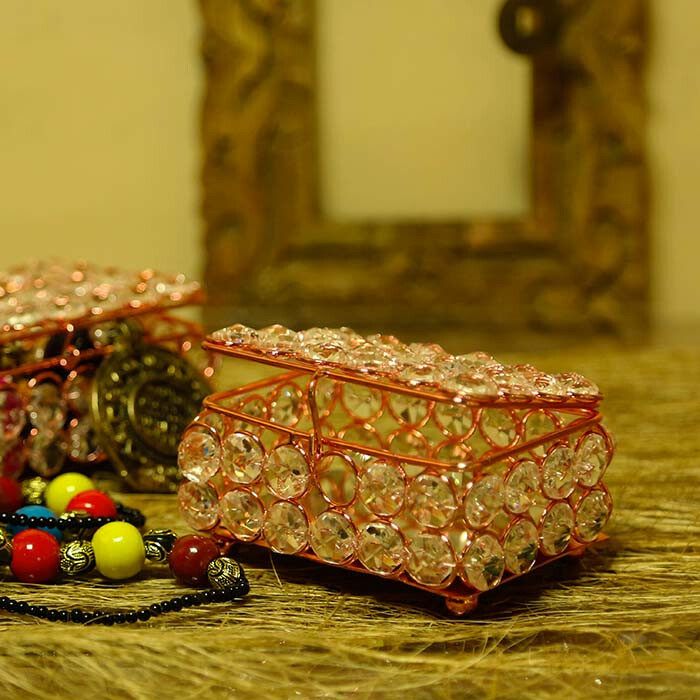 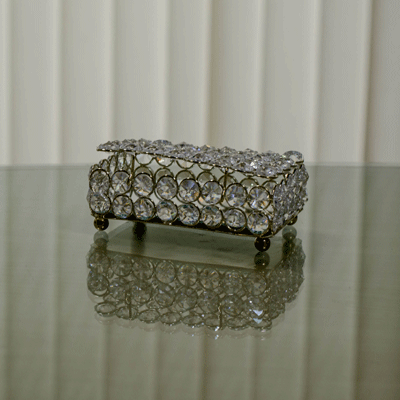 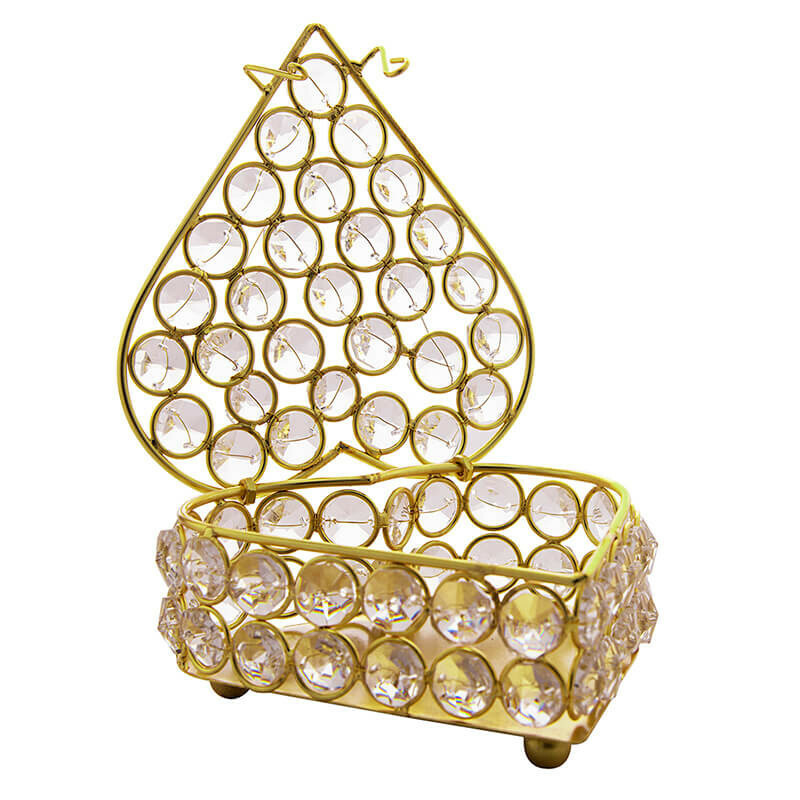 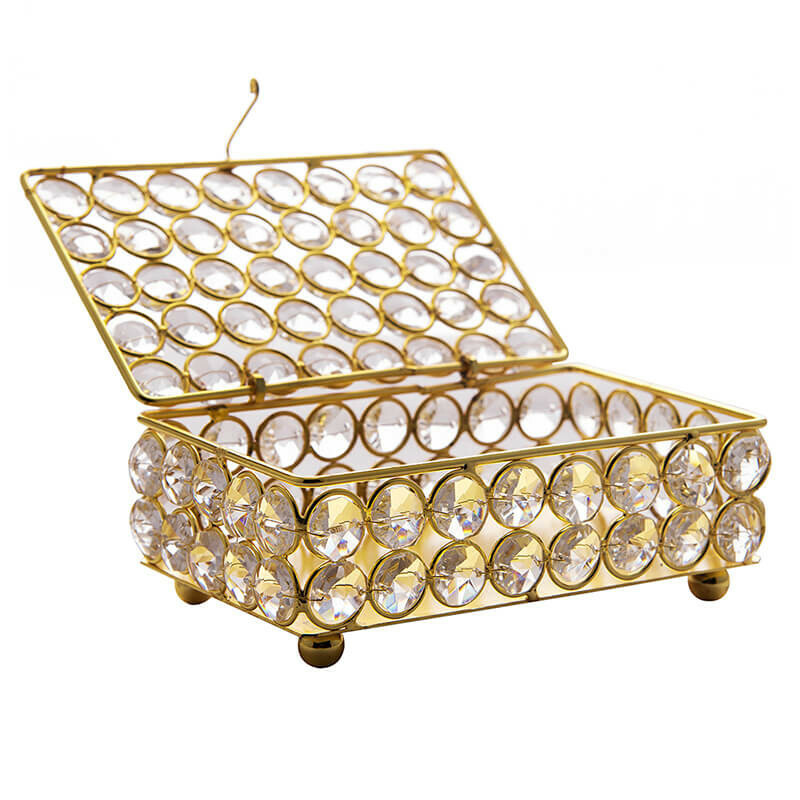 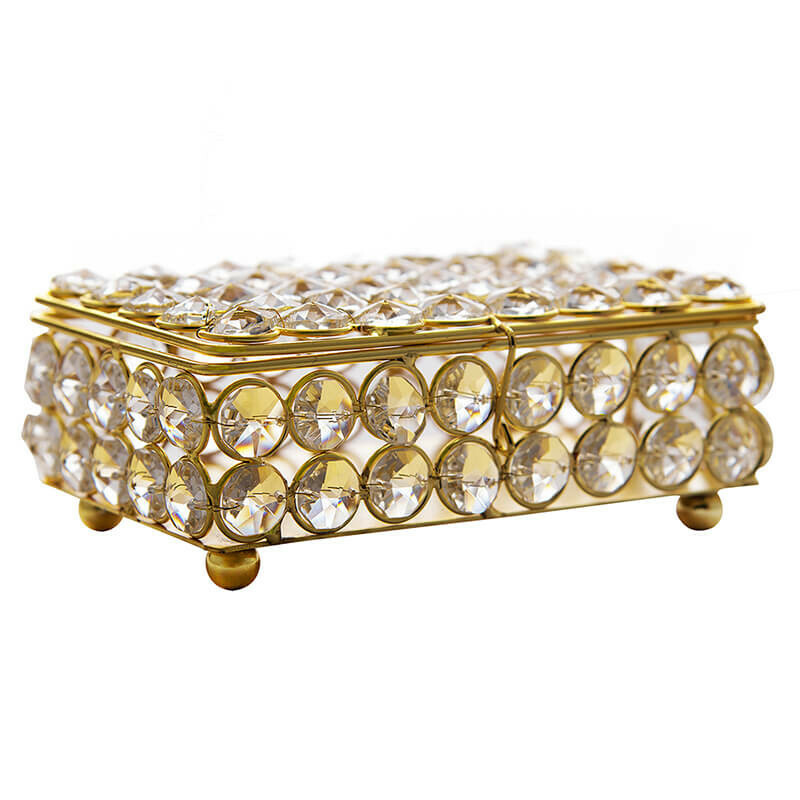 A box, gem in itself to carry all your trinkets in a pretty style. 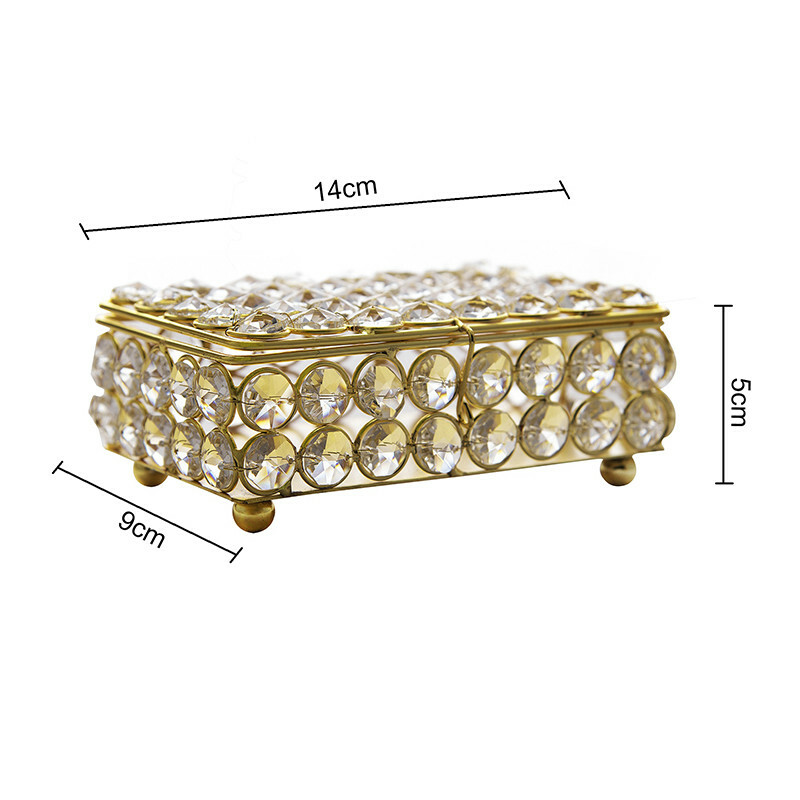 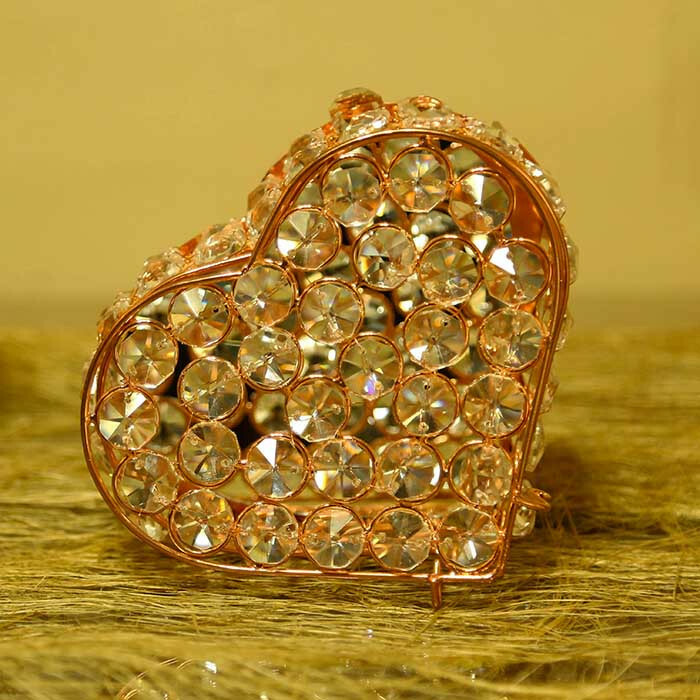 Made from Glass Crystals with Diamond cuts, embedded on tiny metal loops with silver or gold plating, and a reflective mirror bottom adding to the sparkling look.